Howard Earl Gardner (born July 11, 1943) is an American developmental psychologist and the John H. and Elisabeth A. Hobbs Professor of Cognition and Education at the Harvard Graduate School of Education at Harvard University. I want my children to understand the world, but not just because the world is fascinating and the human mind is curious. I want them to understand it so that they will be positioned to make it a better place. The biggest mistake of past centuries in teaching has been to treat all children as if they were variants of the same individual, and thus to feel justified in teaching them the same subjects in the same ways. If you are not prepared to resign or be fired for what you believe in, then you are not a worker, let alone a professional. You are a slave. Stories are the single most powerful weapon in a leader's arsenal. There is very little dispute about the principal constituent elements of music, though experts will differ on the precise definitions of each aspect. Most central are 'pitch' (or melody) and 'rhythm'... next in importance only to pitch and rhythm is 'timbre', the characteristic qualities of tone. 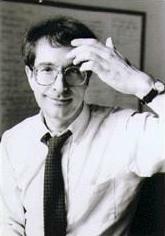 Howard Gardner (1999) Intelligence reframed: Multiple intelligences for the 21st century. New York, New York: Basic Books. An a priori decision to eliminate spiritual intelligence from consideration is no more justifiable than a decision to admit it by fiat or on faith. After all, once one includes the understanding of the personal realm within a study of intelligence, such human proclivities as the spiritual must legitimately be considered. There certainly are no easy grounds for a decision, but several other intelligences deal with phenomena other than sheer physical matter. If the abstract realm of mathematics constitutes a reasonable area of intelligence (and few would challenge that judgment), why not the abstract realm of the spiritual? Gardner (1999) notes three distinct senses of spiritual intelligence: (1) Spiritual as concerns with cosmic or existential issues; (2) Spiritual as achievement of a state of being; (3) Spiritual as effect on others. Gardner goes on to make an argument that spiritual intelligence would be best served by being called existential intelligence. This page was last edited on 30 August 2018, at 15:04.